The big day has arrived! 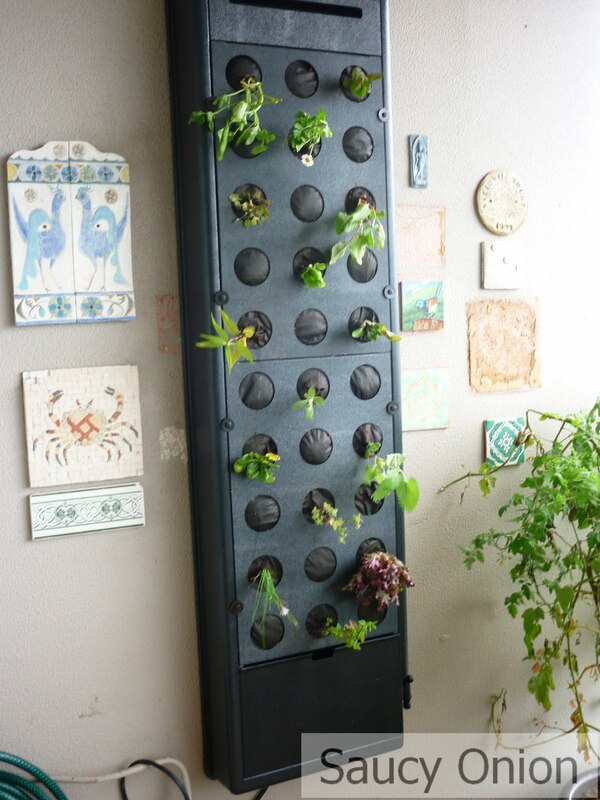 I’m having a vertical green wall installed that can accommodate up to 15 herbs and salad greens. This is Jock. He’s a horticulturalist so I can’t show you his face. Jock’s company Junglefy has spent the past 2 years perfecting their ecoVert domestic green wall planting system. 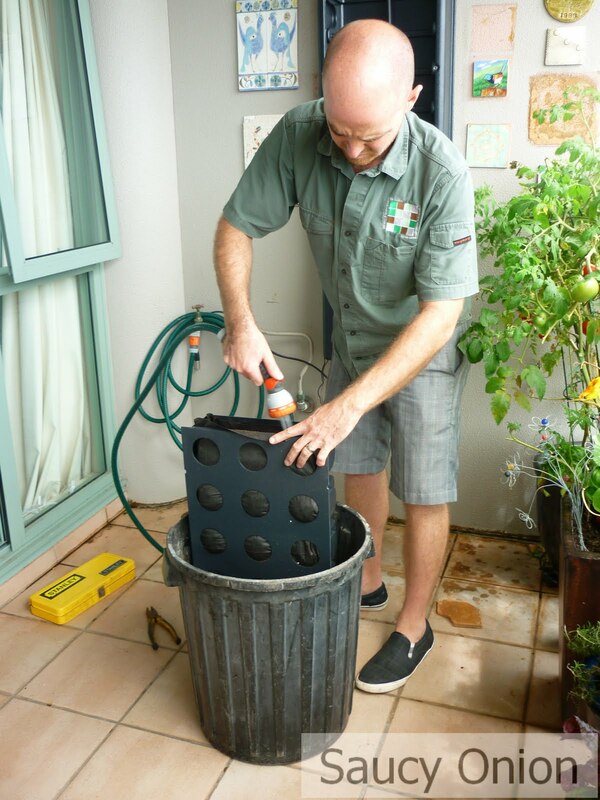 I am one of the first people to trial the ecoVert as it is still not commercially available. It will be soon though. It consists of a super-light recycled plastic shell that is mounted on a wall…. 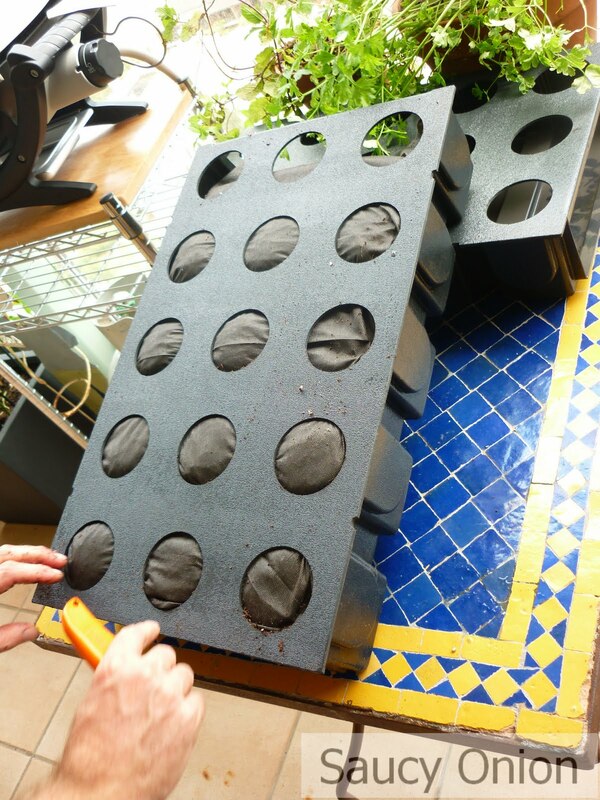 and tray-like modules with holes for the plants to sit in. 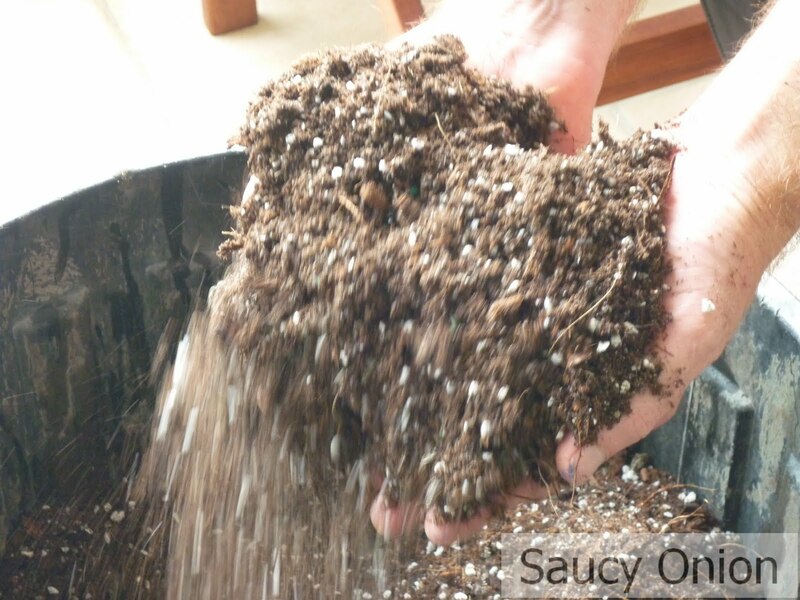 Junglefy developed a planting medium that delivers plants support and nutrients but is lighter than soil. 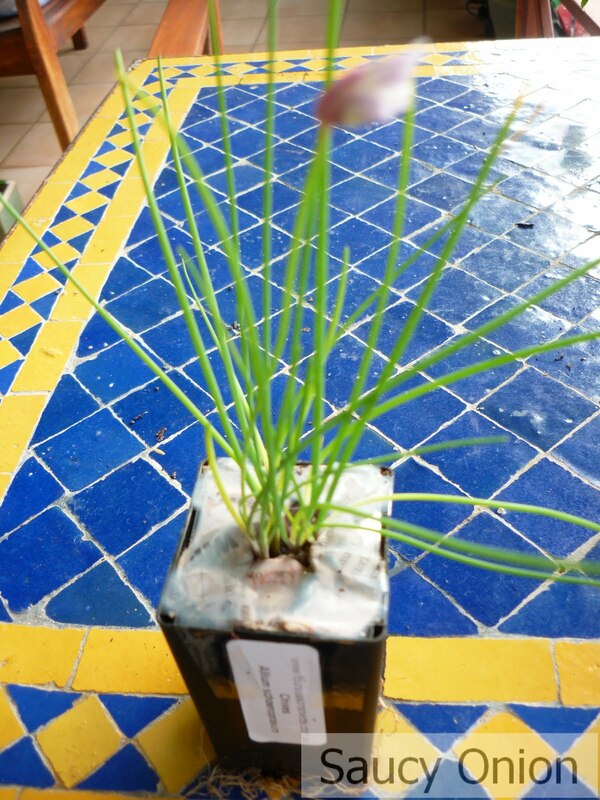 It contains coconut fibres, perlite, organic matter and a slow release fertiliser. It has sufficient nutrients to support plant life for 5 months. 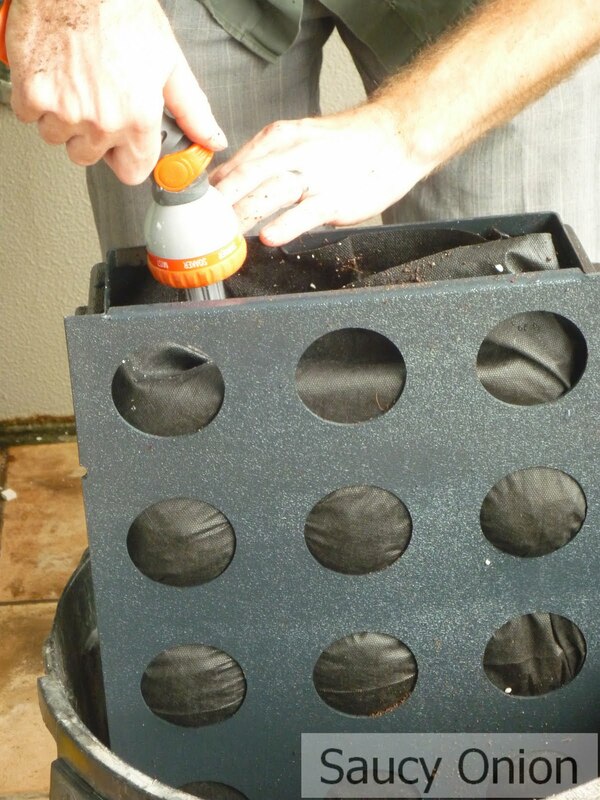 You can then start adding a water-soluble fertiliser into the water reservoir. Each compartment needs to be packed firmly with the growing medium making sure it gets into all the corners. 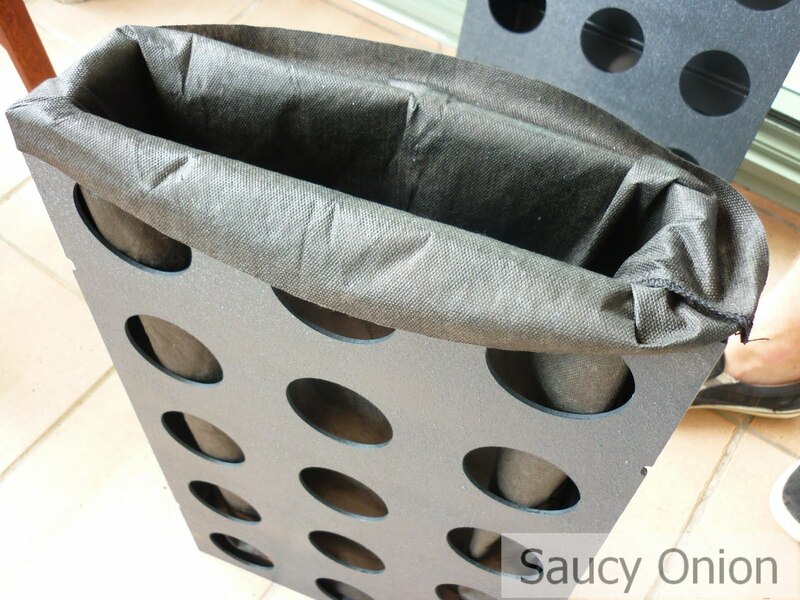 Make a little incision into each pocket and you’re ready to start planting. It takes a little time to get the hang of it but by the time you do the second compatment you’re an old pro. The ecovert has a water reservoir and pump at the bottom that is controlled by a timer (silver box to the left). The timer needs fine tuning so I’m hand-watering for the time being. 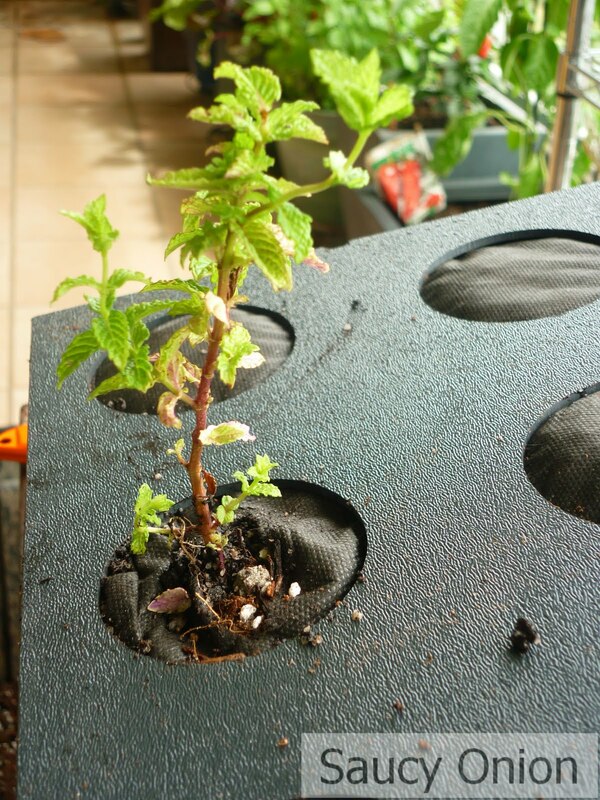 But eventually the Ecovert will take care of the plants with only a little pruning now and then required from me. So by making use of a disused wall and saving on floor space at the same time I’ve managed to plant 15 new edibles. Over the next few days I’ll be monitoring the plants carefully. We get strong winds up here quite regularly which the plants will not take kindly to – especially the long-leafed varieties. Also, there won’t be a lot of direct sun on this East-facing wall until the end of March. How will my new tenants survive in the big city? 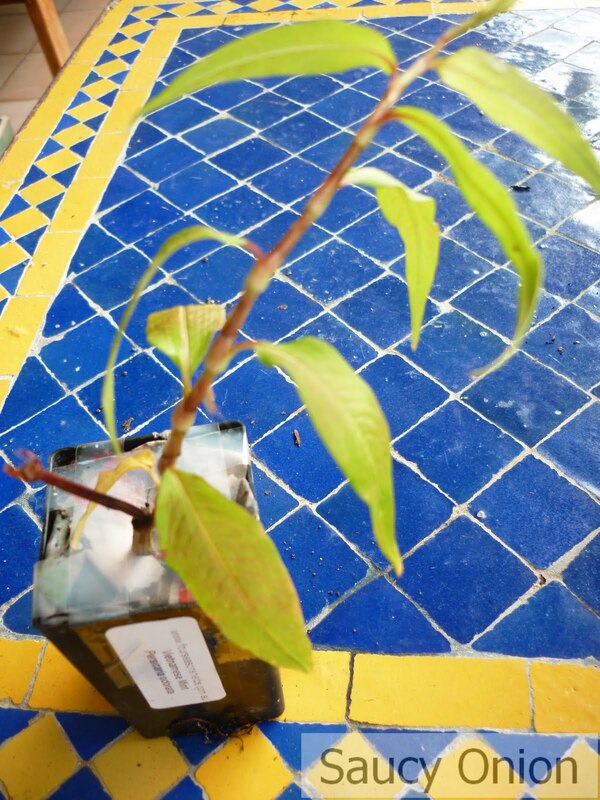 This entry was posted in ecoVert, Edible balcony on February 4, 2010 by dearindira2013. 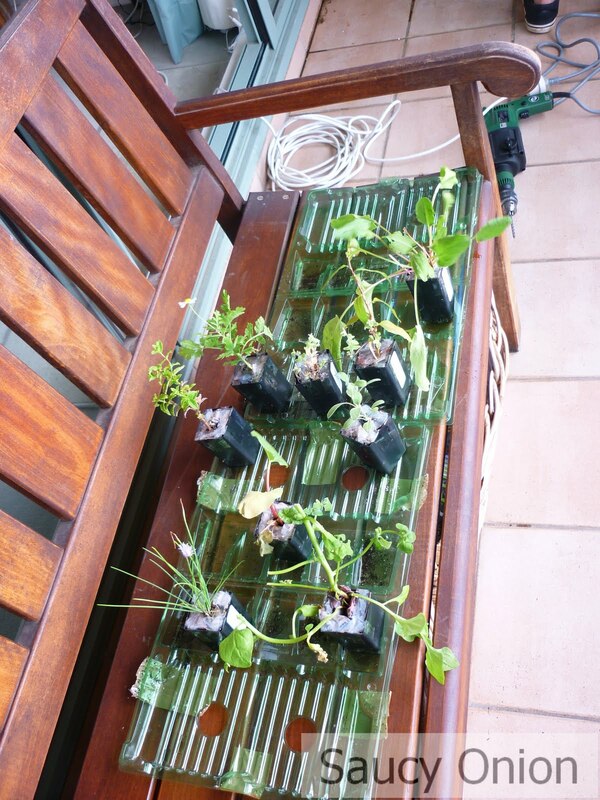 As available floor space rapidly dwindles on the Edible Balcony I’ve decided to plant ….UP! Tomorrow I’m having a vertical wall unit installed which will be able to accommodate 15 new edible plants. The EcoVert wall unit is an exciting new design from Sydney landscape design company Junglefy. It has been developed using the latest sustainability principles. 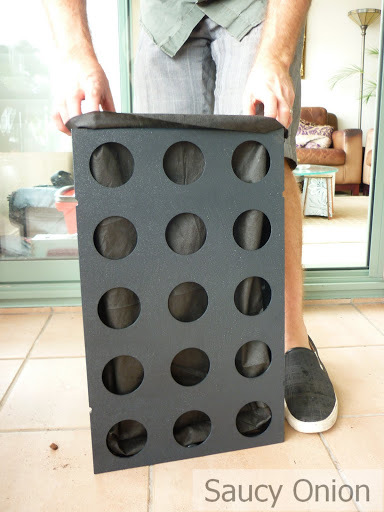 It’s made from light weight recycled plastic, and comes with modular compartments so plants can be replaced easily. 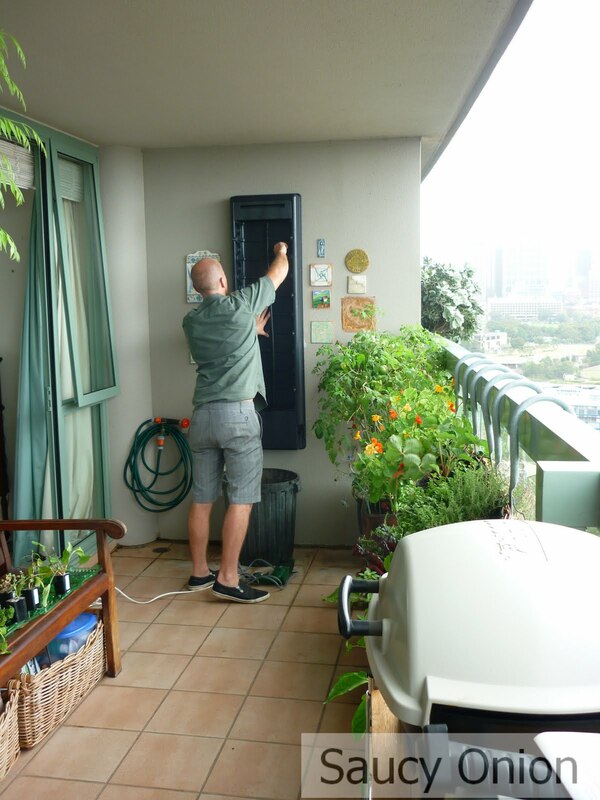 The more advanced units have self-timing water pumps and solar panels so busy urban professionals can keep on being… well… busy urban professionals and still have fresh herbs and vegies when they come home at night! They’ll be installation pics and more details on Saucy tomorrow. After assessing, space, available sunlight, water needs etc, I’ve selected a mix of herbs, pest control flowers and plants, and some lettuce varieties to plant into the EcoVert. Most suburban nurseries and garden centres have a limited range of interesting herbs so I did some research and found the Four Seasons Herbs Company in Exeter, Tasmania. 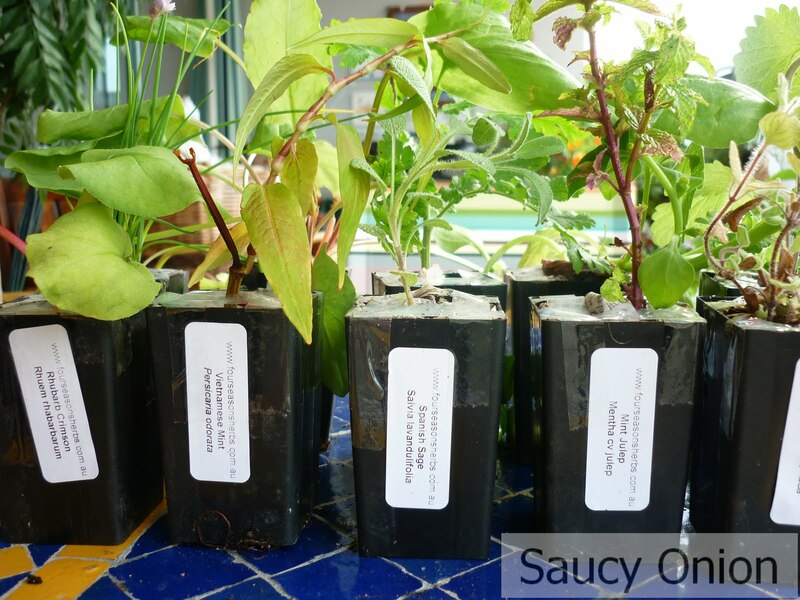 Not only do they grow an exciting variety of seedlings which they will ship to you, but their seed stock is non-hybrid, non GMO (genetically-modified) and chemical-free. And for an edible gardener this means the plants are hardier, have a significantly higher nutitrional value, are more resistant to disease and pests and produce over a longer period of time. Let me introduce you to ……. In Spain this is the only sage apparently that they use in cooking. 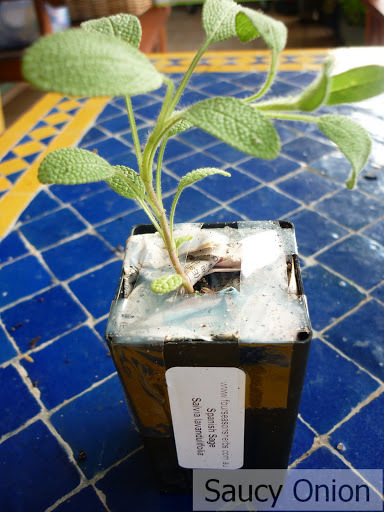 It has smaller leaves than regular sage but is more pungent. Some studies suggest that it is good for lowering blood sugar without affecting insulin levels. Sage protects cabbages from cabbage white moth. This is a relative of oregano. 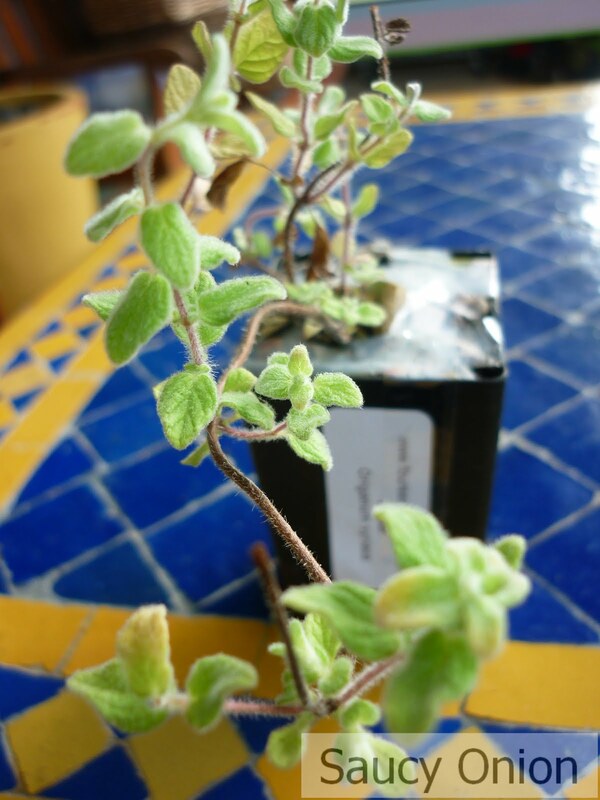 Its small greyish leaves smell sweet and spicy – a combination of thyme, oregano and sweet majoram actually. 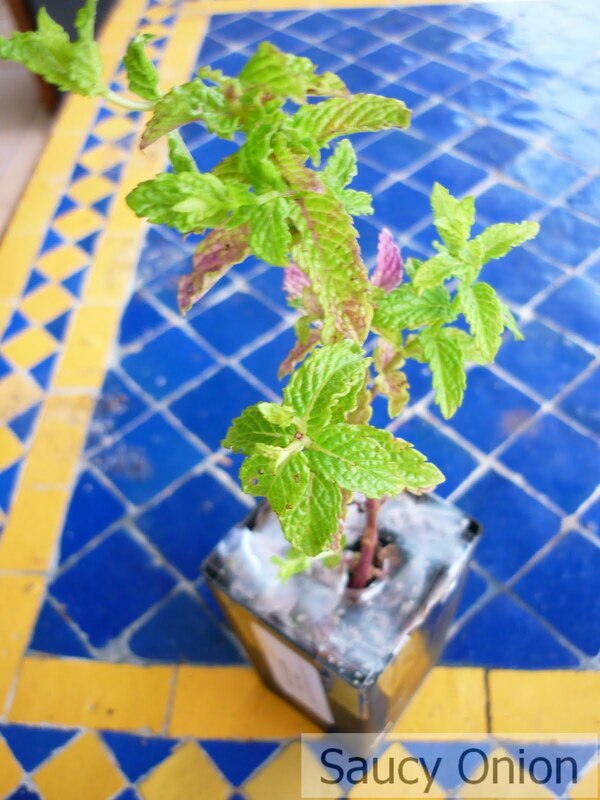 Vietnamese Mint is a south-east Asian herb often used in laksas. Despite its name it is not a member of the mint family and likes soils to be damp but not too wet. Feverfew flowers attract beneficial predator insects (Ladybugs, Lacewings and Hoverfly) into the garden. 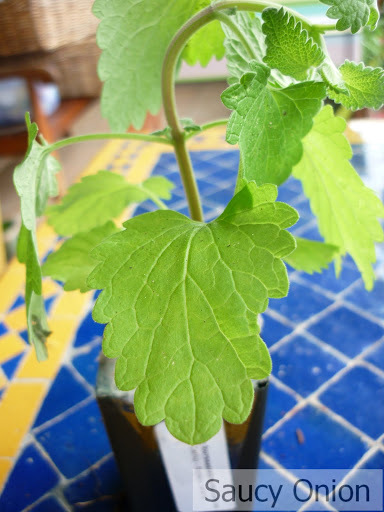 It has reasonably high fertiliser requirements, and thrives in moist conditions with some shade. 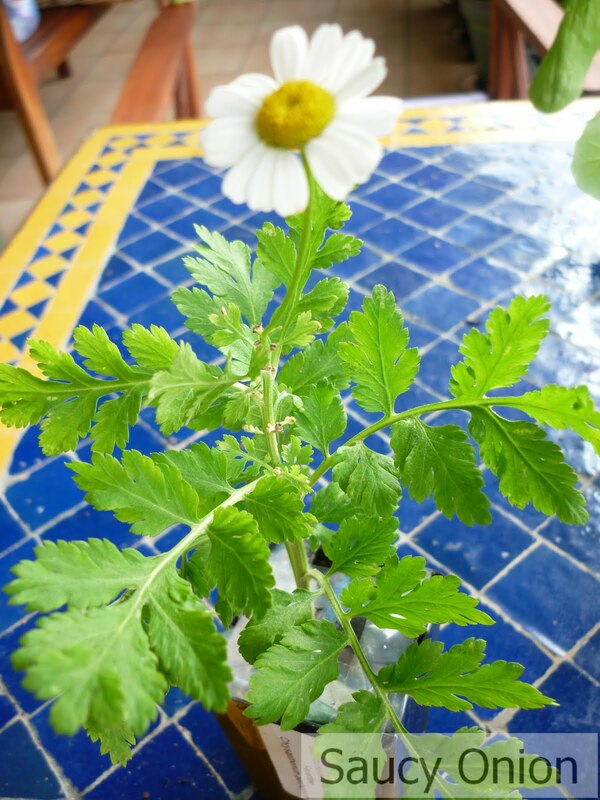 Feverfew has been used to ease migraines and headaches as well. A tangy herb used in French cooking to make sorrel soup and sorrel sauce. Can be interchanged with spinach in recipes but should be cooked as it contains high levels of oxalic acid. Catnip repels some insects such as fleas, ants and mice (although, surprisingly, mice are not a huge problem on the 13th Floor!) It has a strong minty smell and attractive blue flowers and apparently cats go ga ga over it. Best contained in a pot due to its invasive nature. I’m mainly growing this so I can enjoy some southern Kentucky Mint Juleps! If you’ve never eaten Warrigal Greens before (sometimes known as New Zealand Spinach) a taste sensation awaits you. I first experienced them in the little NSW coastal town of South-West Rocks where they grow wild. The local Italian chef Geppi prepares them blanched ( to remove the harmful oxalic acid in them) and then tossed in olive oil and butter with roasted walnut crumbs and parmesan wafers. Just writing that made my tummy rumble! 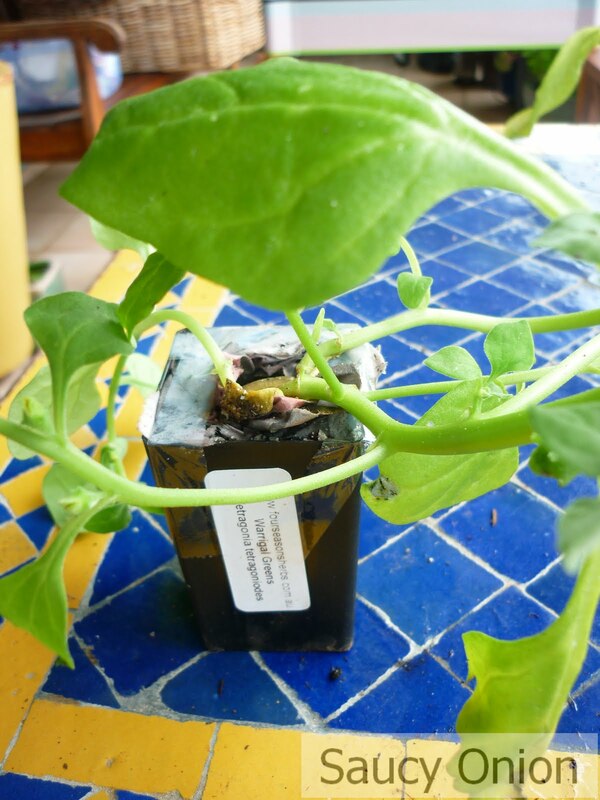 Warrigal Greens like similar growing conditions to beans. 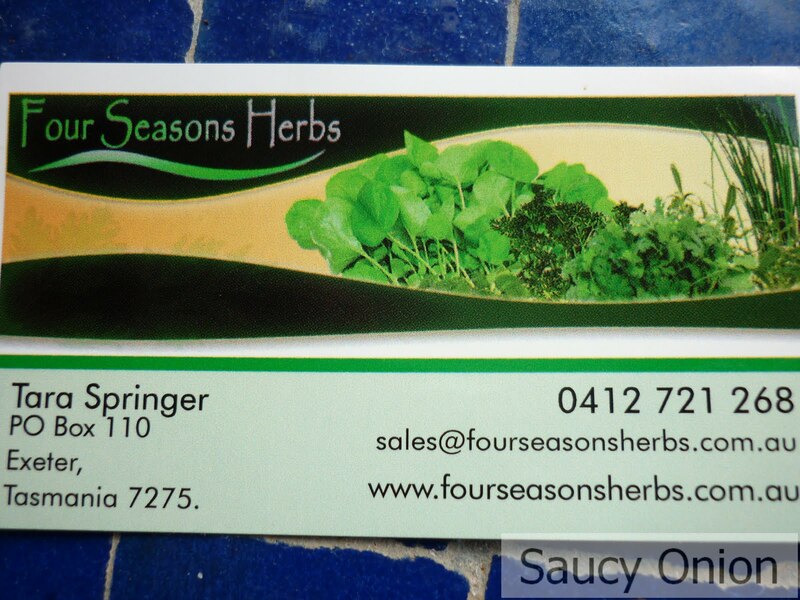 Check out Four Seasons Herbs full range of seeds and seedlings. 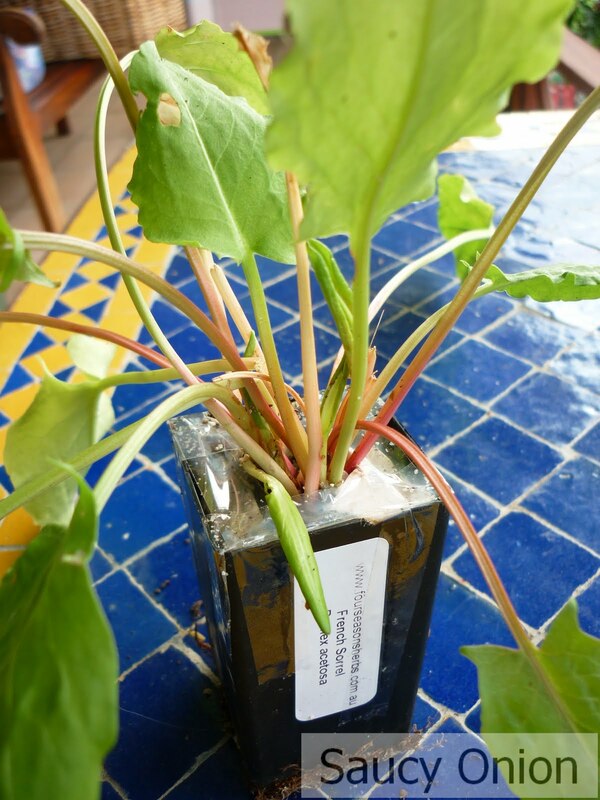 This entry was posted in ecoVert, Edible balcony, seeds on February 2, 2010 by dearindira2013.